The Alt Write: what is writing for? Are we living in a ‘post-truth’ era of degraded language, where the integrity of words and meaning are under siege? Is it just the nature of language? Is meaning always up for grabs? And, in such an age, what, if anything, is the responsibility of the writer? Is it to change minds? Or even the world? In our recent event, The Alt Write, we heard from four very different writers – whose work traverses overt provocation, subtle subversion and radical inclusion – get down to the nitty gritty of the politics and purpose of the act of writing. 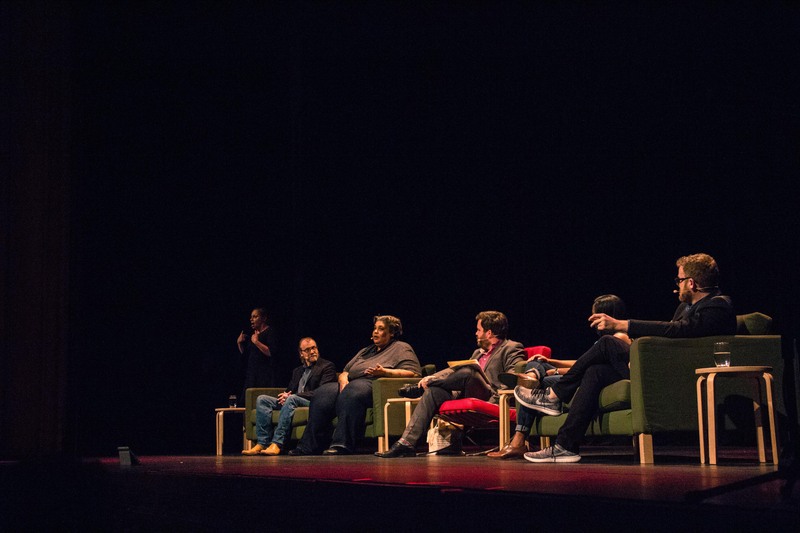 George Saunders, Roxane Gay, Brit Bennett and John Safran, in conversation with host Michael Williams, explored the question of writing and meaning. What's your take?